Verizon Buys Yahoo For $4.8 Billion In Cash, Touting Gains In Mobile : The Two-Way The deal comes more than a year after Verizon paid $4.4 billion to acquire AOL; as part of Verizon, Yahoo will join the same division AOL currently occupies. After considering other offers, Yahoo agreed to be acquired by Verizon for $4.8 billion. "Yahoo and AOL popularized the Internet, email, search and real-time media," Yahoo CEO Marissa Mayer says, in a prepared statement about the deal. "It's poetic to be joining forces with AOL and Verizon as we enter our next chapter focused on achieving scale on mobile." Verizon CEO Lowell McAdam says that Yahoo will be integrated with AOL and placed under Verizon's Marni Walden, an executive vice president and the president of its Product Innovation and New Businesses organization. The new purchase, McAdam says, will put Verizon into "a highly competitive position as a top global mobile media company, and help accelerate our revenue stream in digital advertising." "For Yahoo, this ends the final act of one of the longest-running Internet companies. Founded in 1994, it survived the dot-com boom; the company now has the third most popular search engine in the United States, trailing behind Google and Bing. Aside from the search, Yahoo also has finance, news, mail and other specialty verticals as well as the blogging site Tumblr and photo site Flickr." The deal comes a week after Yahoo reported "second-quarter earnings of 9 cents per share and revenue of $1.31 billion, which beat analyst expectations," as a news story on Yahoo's site notes. The report adds that the revenue was attributed in part to gains in its mobile, video, native and social media unit. In an email to Yahoo employees, Mayer says that she intends to remain with the company. "For me personally, I'm planning to stay," she wrote. "I love Yahoo, and I believe in all of you. It's important to me to see Yahoo into its next chapter." 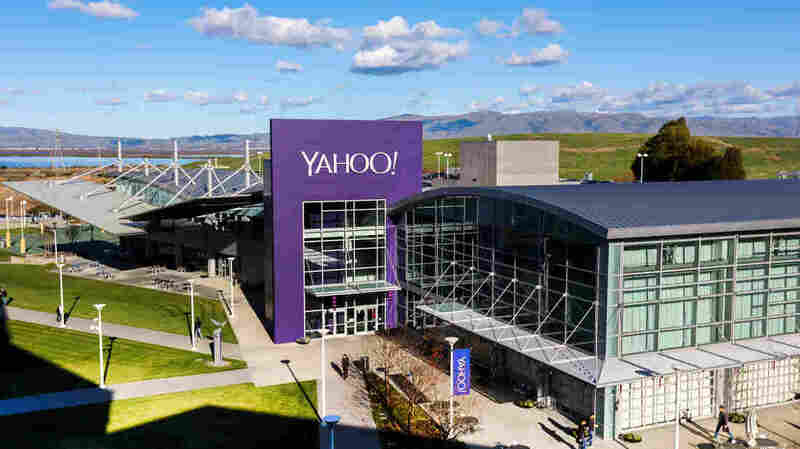 The acquisition is centered on Yahoo's operating business; it doesn't include all of Yahoo's corporate assets — most notably, as the Verizon news release notes, it omits "Yahoo's cash, its shares in Alibaba Group Holdings, its shares in Yahoo Japan, Yahoo's convertible notes, certain minority investments, and Yahoo's non-core patents." Yahoo will hold on to those assets and form a new publicly traded investment company under a new name, according to the news release. Verizon says that it expects the purchase to gain regulatory approvals, and close in the first quarter of 2017.